One bedroom self contained with spa. One queen bed. Restaurant on site. Breakfast is served 7-10am. Cot/ Fold-up bed available for $10. Motel style, queen & single bed, clean & comfortable, tea & toaster facilities. Motel style room, 2 single beds, clean & comfortable, tea & toaster facilities. Two bedroom self contained unit. One Queen bed and three singles. Cancellation Conditions: If cancellation occurs outside 14 days of arrival there will be an automatic cancellation charge 10%. If cancellation occurs within 14 days of arrival there will be an automatic cancellation charge of 20%. All no shows will incur a one night cancellation charge. In addition there will be a $62 Albany Visitor Centre cancellation fee. Head north on Chester Pass Road, turn right onto South Coast Highway at Bakers Junction. 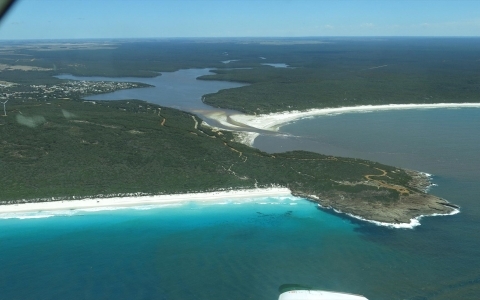 Travel for one hour and turn off on Bremer Bay Road. Travel 30 minutes.